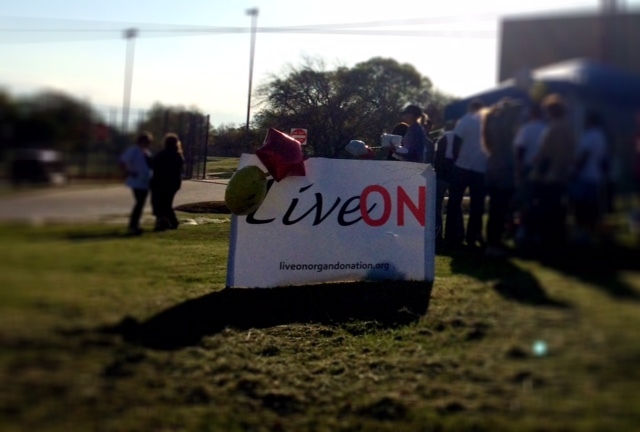 LIVE ON’s inaugural fundraising event was the Texas Transplant Trek. All donations are tax deductible and proceeds help support living donors and their recipients with non-medical expenses. Well, it was more like a walk. Easier, shorter and more fun than a full blown trek. Virtual walkers were welcome! Virtual walkers from Connecticut, Maine, Massachusetts, New York and Rhode Island joined! When: Saturday March 28, 2015 9:00 a.m. start. Where: Flower Mound, Texas. Forestwood Middle School to Donald Elementary School. And back. How to Register to Walk: Just send an email to Kristin@liveonorgandonation.org with your name, address, and phone number. How to Register as a Virtual Walker: Virtual walkers welcome because that’s the kind of people we are – the kind who appreciate people who appreciate a Saturday morning on the couch or who would love to walk but can’t make it to Texas. Just send an email to Kristin@liveonorgandonation.org and say I want in, along with your address so that we can mail you a most awesome Live On wrist band. Cost: $30 participation fee. For that, you get to have fun, feel good about yourself, help living donors and their recipients, a Live On T-shirt and wrist band. Virtual walkers can jump in for $15. We’ll send you a Live On wrist band as a thanks and a reminder to others to sign up to donate. Feel free, of course, to contribute more! Students can also walk for $15. How to Pay: You can pay via Paypal below (you can use your credit card via Paypal even if you do not have a Paypal account) or by check made out to Live On Organ Donation, Inc. sent to Live On Organ Donation, Inc. 2425 Hunters Run, Flower Mound Texas 75028. What else we’ll need from walkers: This Waiver. 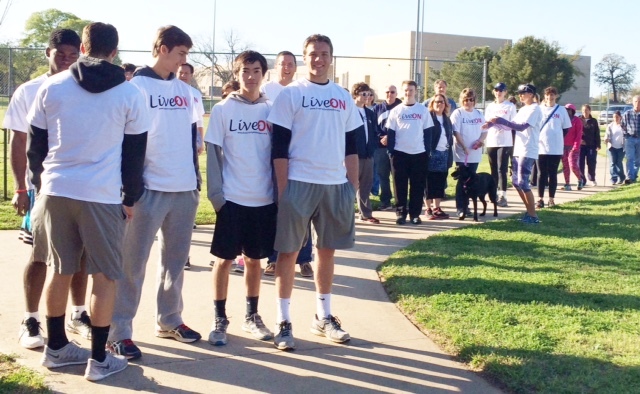 You can sign and send it to Live On Organ Donation, Inc. at 2425 Hunters Run Flower Mound Texas, or bring a signed copy on the morning of the walk. What you’ll walk away with: You won’t be able to help but feel good about yourself. You’ll also get an awesome Live On wristband and t-shirt. They will be all the rage. Don’t miss out. Organized by Kristin Hunt Wolff, a living donor liver recipient, and dedicated to the transplant team at Baylor University Medical Center, including the most awesome nursing staff on Roberts 14.